Not being a marathoner, I had the vague notion a marathon should be an even number of kilometers, because it’s not an even number of miles, but nooooo it’s just an arbitrary distance everybody agreed would be about right for a good long run. 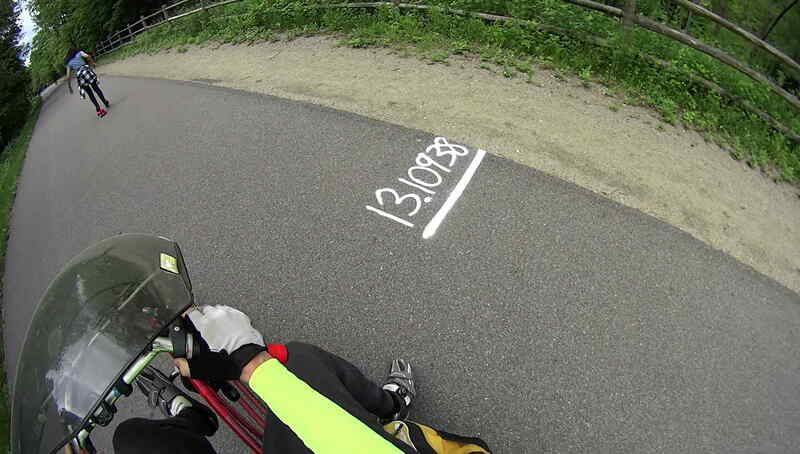 During the rest of the ride, I worked out that 1 micro mile = 5+ milli foot = 60+ milli inch, so the rightmost significant figure in that marker represents increments of, oh, a smidge under ¾ inch. Middle of the hash line marks the spot, perhaps? I’ve seen similar markers along other courses, with varying numbers of ahem significant figures, and will not say how long it took me to recognize what it represented. 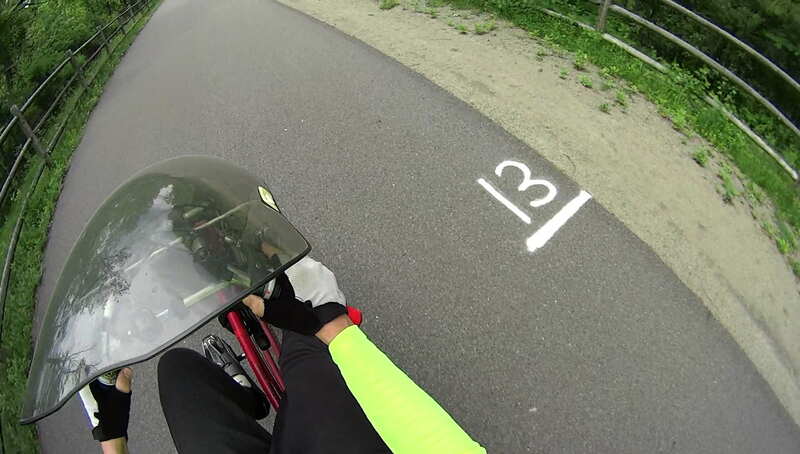 This entry was posted on 2017-06-01, 07:36 and is filed under Machine Shop, Photography & Images, Recumbent Bicycling, Science. You can follow any responses to this entry through RSS 2.0. Both comments and pings are currently closed. Measure with a micrometer, mark with chalk, cut with an axe: works for me. A few days later, I rode around a traffic cone planted just south of that marker, with a big “turn around here” swirl chalked on the pavement, evidently for a race from the Hopewell Junction end. I didn’t see five decimal places of accuracy in those chalk marks, no how, no way!